An authoritative text on edible plants. Balick and Cox's book provides an excellent introductory text for the field of ethnobotany. 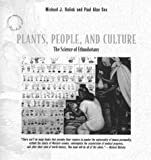 It covers a wide range of material, including medical ethnobotany, the origins of foods and indigenous stewardship of crop biodiversity, materials science, plant toxins and hallucinogens, and ethnobotanical approaches to conservation. Contrary to the last reader's opinion, the authors make clear their deep concern for indigenous rights. Cox, for example, personally took out a loan for the building of a school in Samoa, as described in Nafanua, another excellent book. Other issues discussed also reveal the authors' attempt to further indigenous well-being. In work with the Akimel O'Odham in southern Arizona, Gary Paul Nabhan was able to demonstrate the nutritional value of their traditional diet, which had been largely forsaken for all-American junk food, thus leading to severe obesity and heart problems in a people biologically adapted to a harsh desert diet. Thus in many cases, the results of ethnobotanical research can have practical, beneficial effects upon the lives of indigenous peoples. The growth, reproduction and geographical distribution of plants are profoundly influenced by their physiological ecology: the interaction with the surrounding physical, chemical and biological environments. 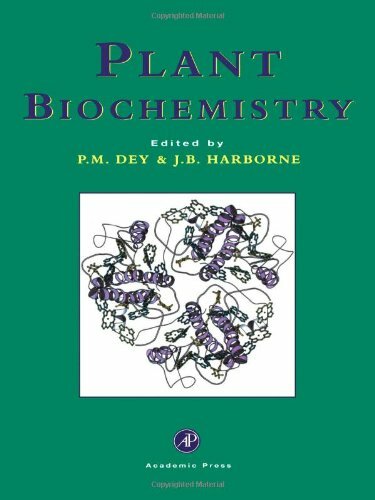 This textbook is notable in emphasizing that the mechanisms underlying plant physiological ecology can be found at the levels of biochemistry, biophysics, molecular biology and whole-plant physiology. 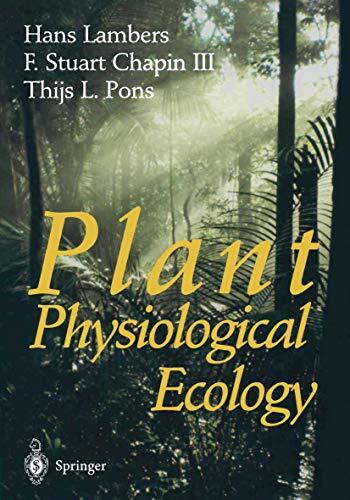 At the same time, the integrative power of physiological ecology is well-suited to assess the costs, benefits and consequences of modifying plants for human needs, and to evaluate the role of plants in ecosystems. Plant Physiological Ecology begins with the primary processes of carbon metabolism and transport, plant-water relations, and energy balance. After considering individual leaves and whole plants, these physiological processes are then scaled up to the level of the canopy. 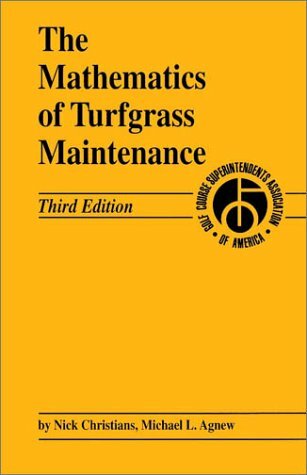 Subsequent chapters discuss mineral nutrition and the ways in which plants cope with nutrient-deficient or toxic soils. 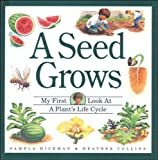 The book then looks at patterns of growth and allocation, life-history traits, and interactions between plants and other organisms. 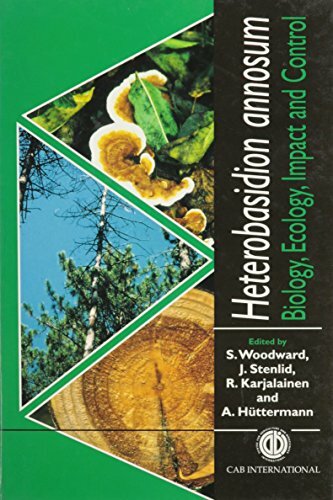 Later chapters deal with traits that affect decomposition of plant material and with plant physiological ecology at the level of ecosystems and global environmental processes. 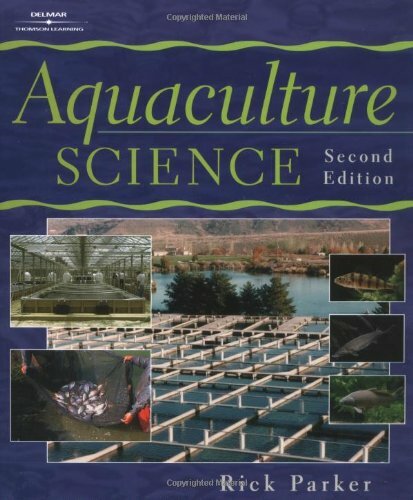 I use this book as a starting point on specific topics in plant physiology & ecophysiology from the plant cell to plant global communities. 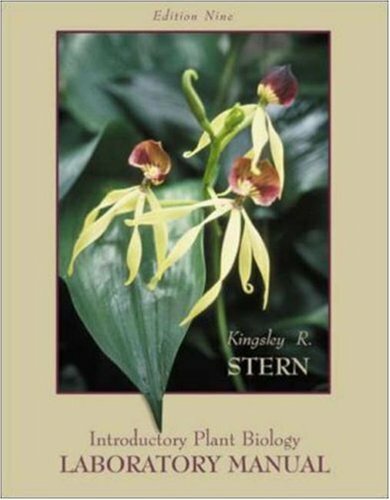 Indeed, it is not an intro course in plant physiology and very broad but I would recommend this book for graduate students, it is helpful. 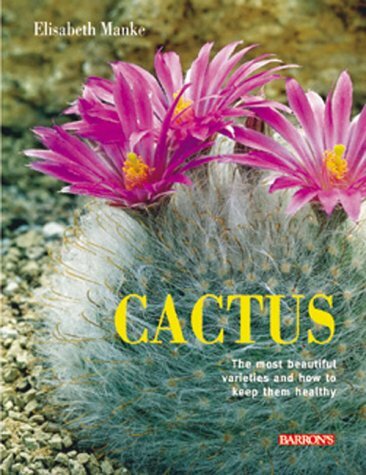 My First Book Ever on Cactus Care. I have been an avid cactus fan since I was very young (I'm 16 now), but I never had a really good book on cacti until now. This one is concise, comprehensive, and offers a wide range of gorgeous color photos. Sure, it was the only one my local bookstore had. But by the same token, it is excellent, and not too expensive either. For the cactus lover. In the spring, California's rolling hills, green valleys, and coastal slopes are colored with wildflowers treasured by both residents and visitors to the state. First published more than forty years ago, this popular guidebook has helped thousands of amateur and intermediate wildflower enthusiasts learn the names of the flowers located in some of the state's loveliest and most accessible areas--from below the yellow pine belt in the Sierra Nevada westward to the coast. Thoroughly revised and updated throughout, it is now easier to use and more accurate--the perfect guide to take along on outdoor excursions in California and surrounding regions. Did you know that the smell of sassafras blowing offshore convinced Columbus he was near land? Or that the American sycamore, which has the largest tree trunk in the eastern forest, can live for 500 to 600 years? Or that in the period before the American Revolution, patriots designated a sycamore tree in each colony as a "Liberty Tree" -- a meeting place for plotting against the British? These facts are just a few of thousands you'll find inBotanica North America, an encyclopedia of the wonderfully diverse North American native plants by noted Canadian garden writer Marjorie Harris. This charming compendium is filled with more than 420 entries that provide essential information on each plant's physical attributes, natural history, common uses, and ethnobotany. There are also fascinating, often surprising anecdotes about plants you won't find anywhere else. From the Eastern forest to the desert, this beautifully written volume roves across the continent exploring how climate and plant life have affected, aided, and inspired us, from the first Native Americans to North Americans living in the twenty-first century: "The lonely majesty of a wind-swept jack pine has inspired generations of poets and painters," Harris writes. "These trees endure in spite of terrible weather . . . a jack pine forest has a dense, closed canopy with an understory of cherry, blueberry, hazels, bracken, and sweet fern along with trailing arbutus." 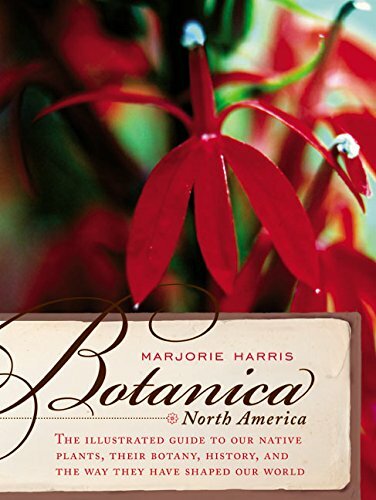 Comprehensive and engaging, Botanica North America is also filled with lush photographs of plants in their natural habitat and insightful quotes from a variety of gardening experts and amateurs, from naturalist Rachel Carson to famed conservationist John Muir. 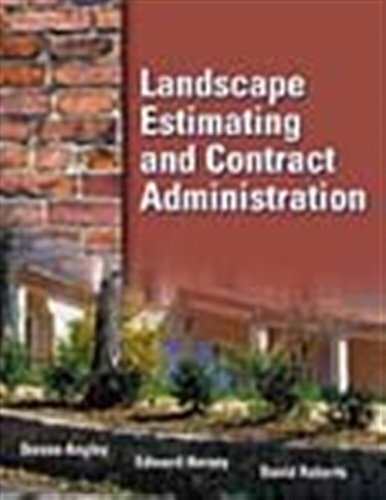 Here is a reference no gardener or environmentalist should be without. Botanica North America is a hefty tome at a little over 650 pages (and I'm guessing over 5 pounds), but the necessity of such a length is explained by the subtitle. Indeed, it would seem an overwhelming task to encapsulate in a book the history, botany, and traditional uses of North America's native plants. Who would even dare try? We can thank Marjorie Harris. For this comprehensive volume, this prolific and admired Canadian author sought information and opinions from hundreds of experts throughout North America. The acknowledgments alone are over three, packed pages long, so we know that Harris consulted thousands of knowledgeable individuals, and she collected photographs from among the most talented artists on the continent. Throughout the book, Harris conveys a reverence for our natural world and the plants that inhabit it. 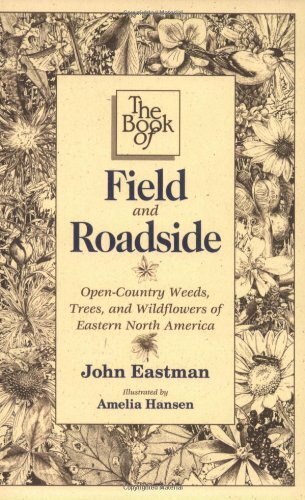 She writes with an ecologist's view, noting that "If the point of this book is to honor native plants, it is also to honor their history, the secrets they have shared, the role they have played and must continue to play in the survival of our species. . . . We are the stewards of this land and if we do our best . . . to save as much of their habitat as possible, then we will be giving these plants the respect they deserve." To organize such a daunting task, Harris divided North America into the following regions: the Eastern Forests (covering the Northeast and Southeast); Swamps and Wetlands; Florida; The Boreal Forest; The Prairie; The Desert; California; Montane; The Tall Trees; and The Tundra. The profile of each region begins with several pages of overview that introduce each area and capture its essence. Then Harris concentrates on the plants that are critical to the region and have been historically important to the human inhabitants. She organizes the plants by family, and each species she highlights is described through its botanical structure, ethnobotany, and natural history. One feature I especially appreciate is this book's "browsability." I can pick it up just to admire the photos if I wish. Or I can thumb through, picking up captivating quotes by nature writers and early explorers, from William Bartram to Walt Whitman. Or I can browse the plant descriptions, learning fascinating tidbits of information. I have always wondered why the blooms of bluebells turn from pink to blue as they mature - now I know. And I learned that Native Americans used the dogwood as an "indicator plant," timing their planting of corn to the blooming of the tree. 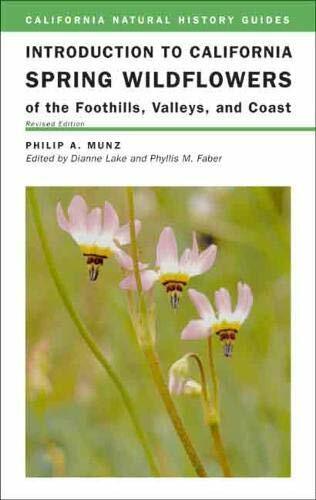 I look forward to learning more about the secrets and history of our native plants as I continue to explore this extensively researched book. Botanica North America will not get stored on my bookshelf; rather it will stay at my fingertips, always ready to supply me with information or inspiration. This book is a departure for Canada's best-known garden writer. The reviews I've read tend to give the impression that it is a gardening book, but it's more of a venture into history, geography, botany and enthobotany, than horticulture. 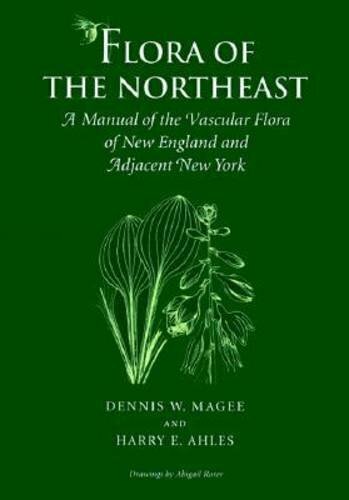 Information that gardeners depend on, such as hardiness zones of plants, isn't there, but that doesn't mean gardeners won't be fascinated by this extensive exploration of North American native plants. The book offers photos and the stories of more than 420 plants-trees, shrubs and herbaceous plants-that grew in North America before Europeans arrived. The plants were selected because they are or were in some way valuable or important to people, whether native peoples or European settlers. 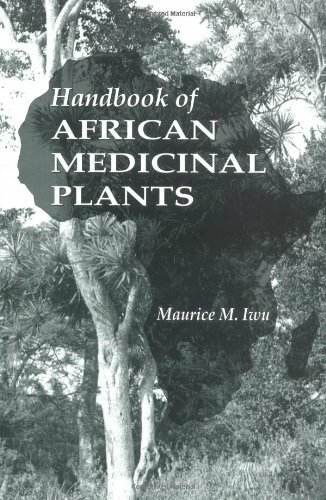 At more than 650 pages, the book is extensive (it would have taken several volumes to encompass all the important plants). Still, there are some surprising omissions, for example, hickory, bitternut and pecan are included in the juglandaceae, but the ubiquitous black walnut isn't. Organized geographically, the book ranges from the eastern forests to Florida, from the boreal forest to the prairies, the southern deserts to California and the Pacific Northwest. The northern tundra is included, as well as a chapter on the "three sisters", the agricultural plants aboriginal peoples cultivated, corn, squash and beans. Lush photographs accompany many of the entries, which provide essential information on each plant's attributes and historical uses. Harris includes stories and quotations from early European plant enthusiasts who often courted hardship and danger to learn as much as they could about the new plants they were encountering. Many compelling stories come from these early observers and amateur botanists. 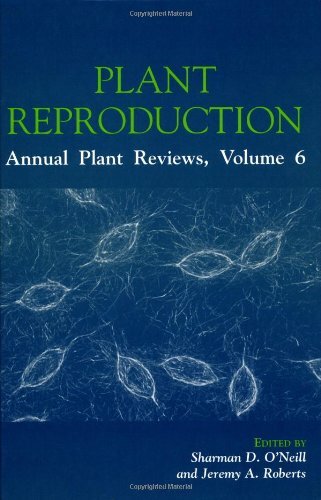 Unfortunately, the publisher chose only to index plant names (common and botanical), and not the names of people. For example, I was hoping to find reference to Catharine Parr Traill, the sister of Susanna Moody (of Roughing it in the Bush fame), and the author of Canadian Wild Flowers (1868). As early as the mid-nineteenth century, Parr Traill regretted the almost wholesale destruction of the Canadian wilderness and its plants due to the onslaught of farmers clearing the land for crops and loggers harvesting timbers to ship to eager markets in Europe. Parr Traill is, in fact, quoted several times, but you won't find her name in the index. Notes for each chapter do detail sources, but an alphabetical index would have made these names so much easier to find. Great book! Read this NOW! Mark J. Plotkin's great work has really opened my horizons up to realize the plight facing world society. Through demonstrating the vast economic importance of ethnobotanical knowledge to the rest of the world, the reader feels the tragedy of the rain forest being depleted. The world's rain forests are the most complex biomasses on earth, and there are myriads of species of plants that have never before been seen, that could yield potentially useful medicines. The recording and finding of these medicines is found through conversational exchange with tribal peoples, who have evolved their botanical knowledge through thousands of years of trial-and-error. Finding these new medicines is important not only to the current medical sphinxes plaguing society (AIDS, cancer, etc. ), but also for the inevitable medical problems we will face in the future. An all-around excellent book! It reads like an adventure novel, and the style of prose is transfixing, and enormously captivating. I read this one recently and I say that without a doubt if you are considering buying a book on shamanism buy this one. It was great, and postive and helpful in the sense that by coming to understand the culture of the indigenous rainforest inhabitants you learn to respect the forest, or la selva, and desire to protect it from modern encroachment. Great book in all respects; exciting, informed, exotic... buy this one. I recently finished another shamanic book recently which was pretty damn good too -- Memetic Magic, by K Packwood, I think. Takes shamanism to a whole new level check this one out too probably. I read this book years ago, and still find myself thinking about, referring to it, etc. I can't tell you how much of an impact it has had on my thinking. Should be required reading for all med students. This is an absolutely amazing book. Basic story: autobiographical accounts of an enthnobotanist looking for medicinal plants in the Amazon rainforest. Daniel Quinn talks about 'The Great Forgetting' in the Story of B. But this books really hammers home how great a Forgetting it has been, and how much of a loss it will be when tribal cultures have been totally wiped out. Whereas our cultures may date back several thousands of years at most, the cultures of these people have been distilled over so much longer a period. I remember when reading 'Roots' I was stricken and moved by the oral traditions of the tribes (preserving their ancestoral history by word of mouth). I got a similar feeling here as well.. In one part the author talks about the tribe telling of ancestors who 'crossed through great cold, wrapping themselves in animal skins..'. Apparently it is generally accepted that the Indians of South America crossed over from Asia during the last Ice Age. Can you imagine a culture rich enough to preserve stories dating back twenty+ thousand years? The book's focus is definitely on the author's search for the flora (and sometimes fauna) of the jungle. However, there is a lot more to take away from it. I just got this book today and I am so happy that I purchased it. 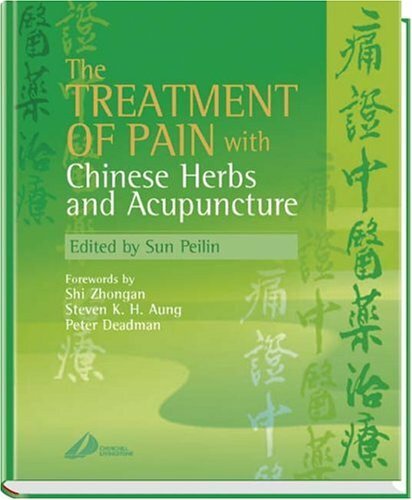 It is the perfect reference book that i have been looking for. It has great pictures of the flowers and foliage , pronunciation as well as design applications. 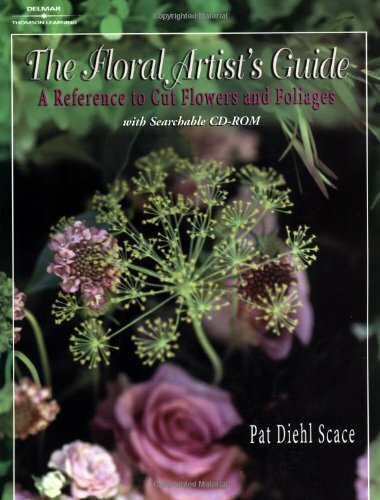 Great book, a must have to all beginner florist.